It is still summer and I am still on Ice Cream mood! 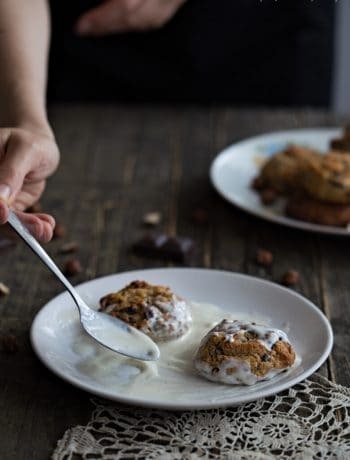 There is no better season for ice cream than the current one but in fact frozen desserts are good to eat all around the year! 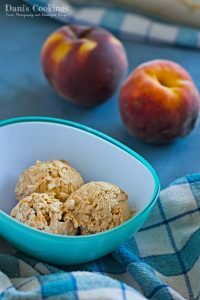 This wonderful Caramel Peach No Churn Ice Cream recipe is very easy and will impress you with its deliciousness! We know that peaches are great with cream and even with mascarpone. 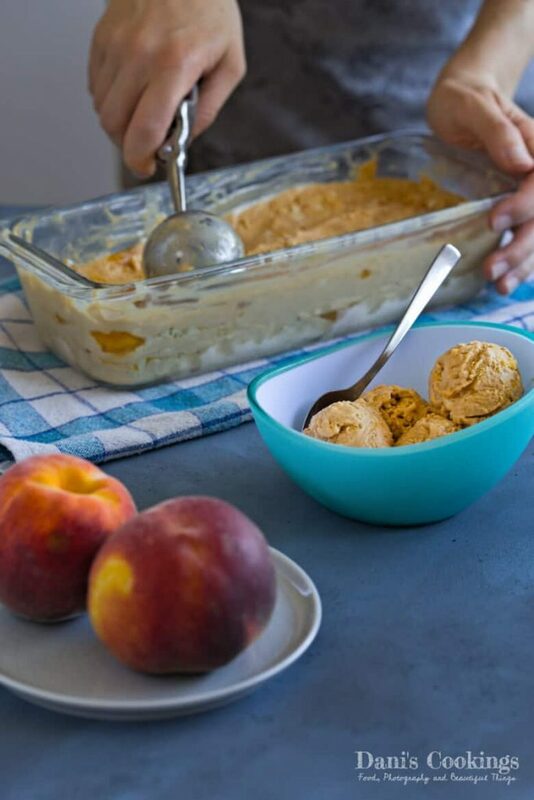 Here are two fantastic recipes proving that: Easy desert with Peaches, Cream and Mascarpone and Peach Raspberry Tiramisu. But have you tried the combination of peaches and caramel? It is truly intriguing and very pleasing for the palate. 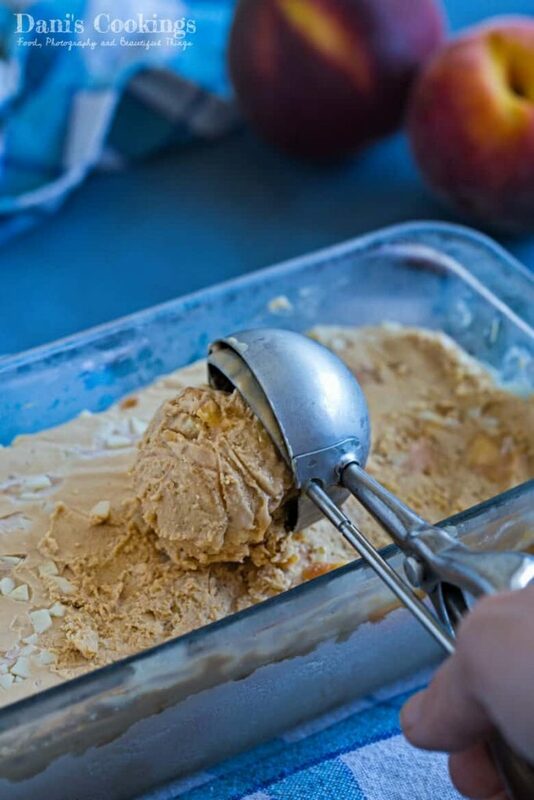 The base of this ice cream is… dulce de leche! It has become a very favourite product of mine recently. It is pure milk caramel: tasty and velvety. You might know that dulce de leche is made by boiling condensed milk for several hours until it gets caramelised. 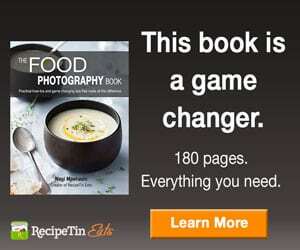 You might have used it in different desserts. 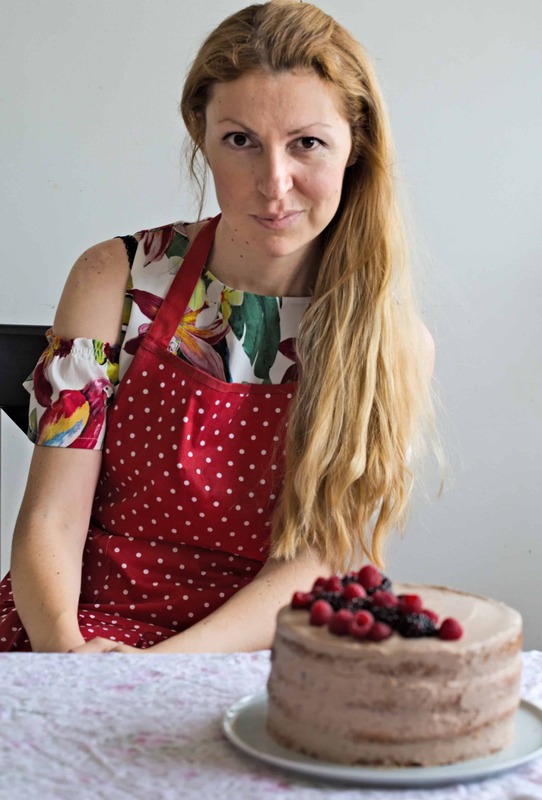 You can also find some recipes in this blog: Ice Box Cake, Easy Banoffee Mess Cake and Dulce de Leche Truffles… But have you tried a no churn ice cream made out of dulce de leche? 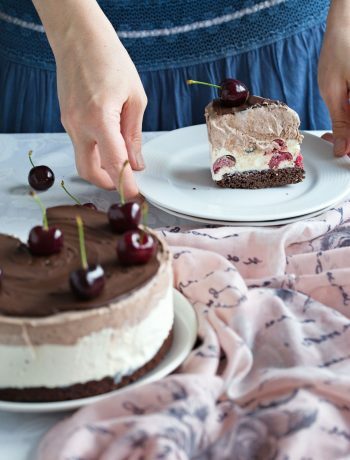 If you have, you surely know how creamy is its texture and how velvety is the feeling of each bite. I added the peaches in this recipes because I wanted to make the ice cream a bit more interesting than just pure caramel. I also added some white chocolate shaves but they are optional. 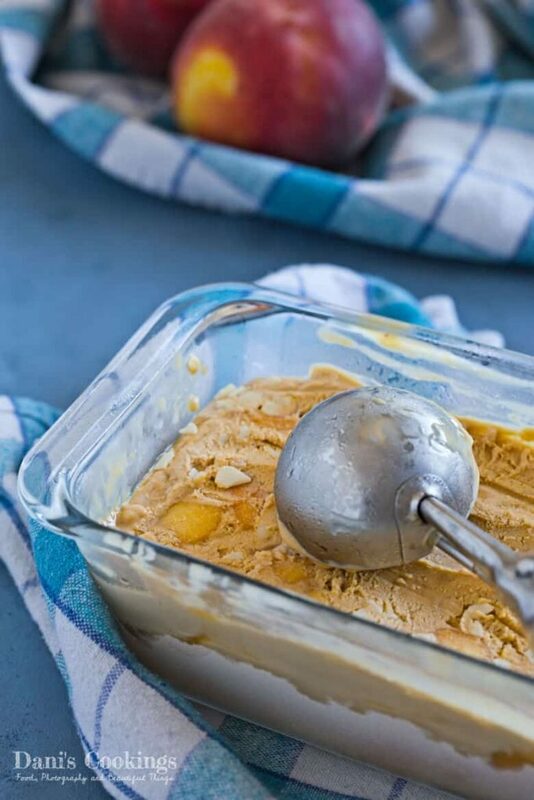 If you don’t have fresh peaches, you can use canned fruits or you can make a variation with other fruits: apple or pear, for example would go very well with the caramel. And if you don’t want any fruits in your ice cream, you can add some chocolate spread (e.g. Nutella), cookie crumbs or chocolate shaves. The peach mixture is made with marsala wine but you can skip the marsala or substitute it with another liquor. If you will serve the ice cream to kids, don’t add any alcohol. You may want to add some rum or vanilla extract instead but the peaches have quite a lot of flavour on their own, so it is not mandatory. 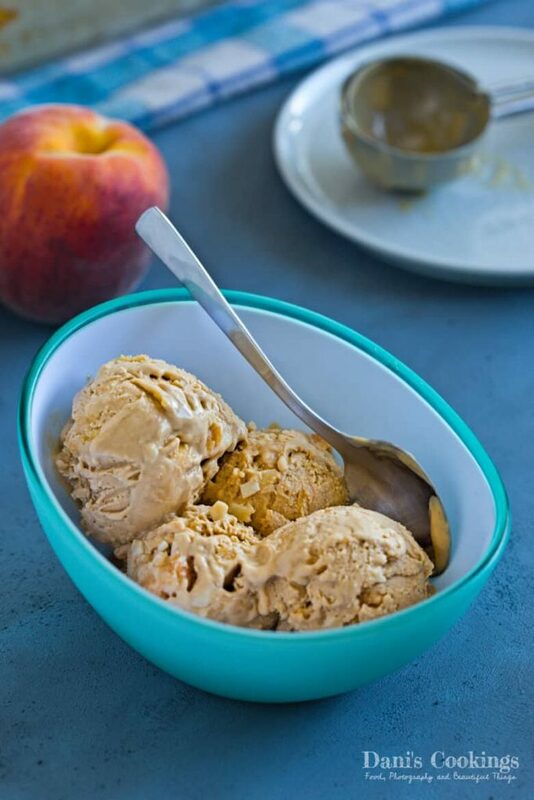 I have to say, I am quite in love with this Caramel Peach No Churn Ice Cream. 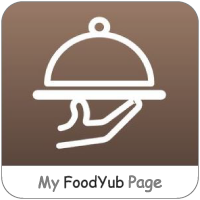 It is great for summer parties or for the hot evenings. Combine all ingredients in a small saucepan over medium high heat and bring to boil, whisking from time to time. Lower the heat and let simmer for 4-5 minutes. Remove from heat and let cool until room temperature. 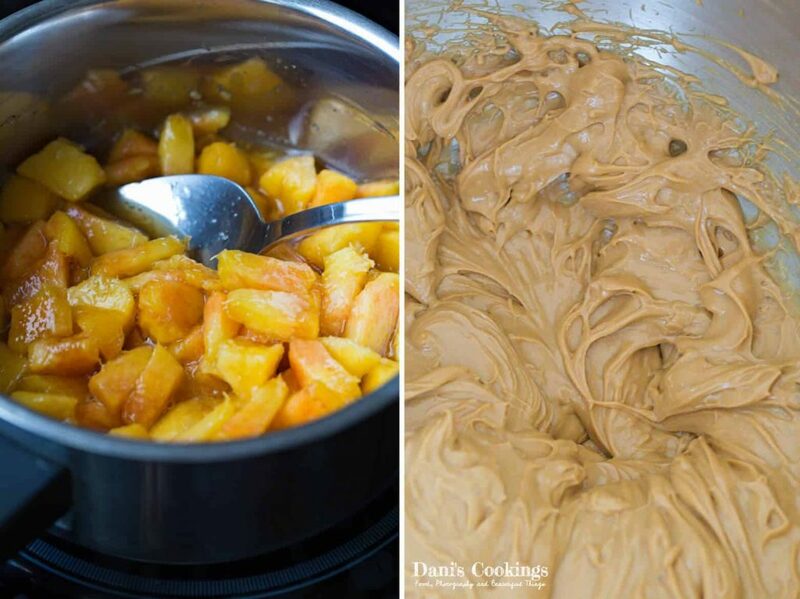 In a large mixing bowl beat together dulce de leche and cream cheese until smooth. In another large bowl whip the cream until very thick. Using a rubber spatula gently fold the whipped cream into the dulce de leche mixture until the mixture becomes uniform. Pour some of the ice cream mixture into a large loaf pan. 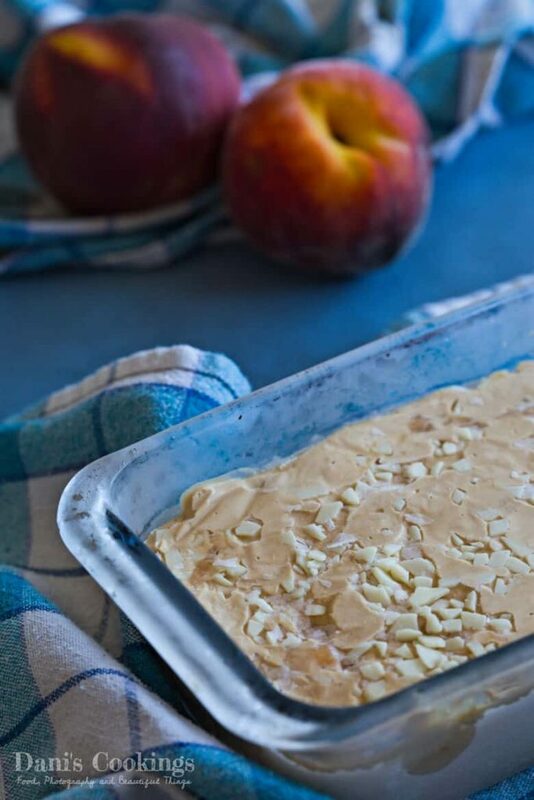 Spread some of the peach mixture on top. Optionally sprinkle some grated white chocolate. Continue the process until both products are layered in the pan. 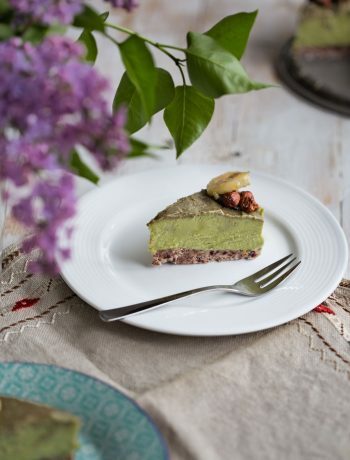 Cover tightly with cling film and freeze for at least 6-8 hours before serving.